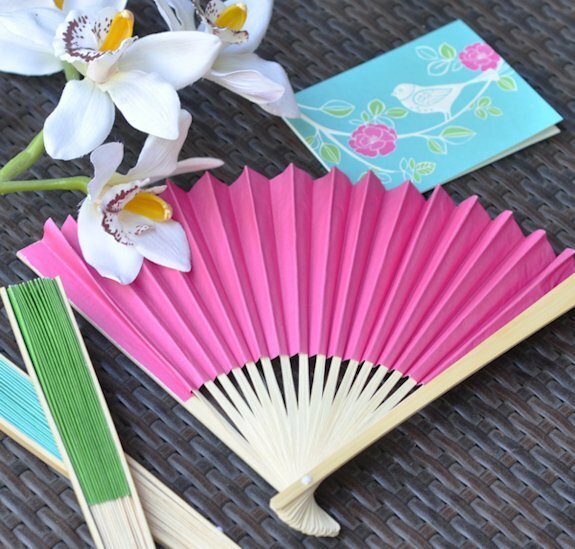 Add some elegance and a pop of color to your wedding day with our Colored Paper Hand Fans. 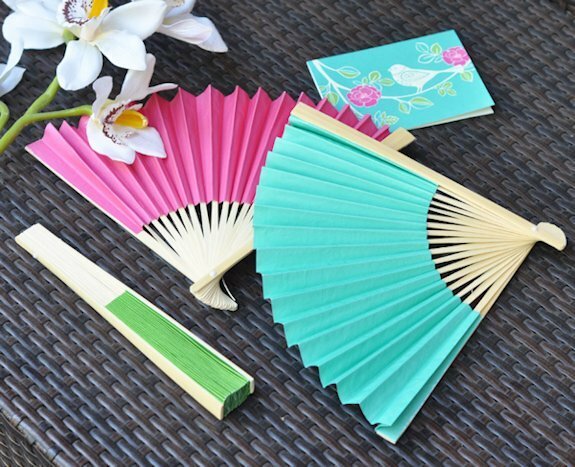 Available in a variety of vibrant colors, fans unfold to reveal delicate colored paper inside. 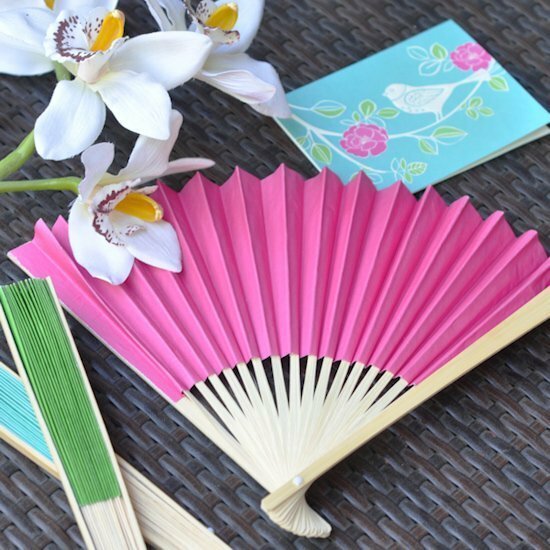 Place these colored paper fans on each chair to keep your guests cool or use them as a place card holder by simply adding a small printed paper to the spokes or wrapped around the outside (not included). Note: Picture shows how you can use strips of paper to personalize your fans. Labels not included. 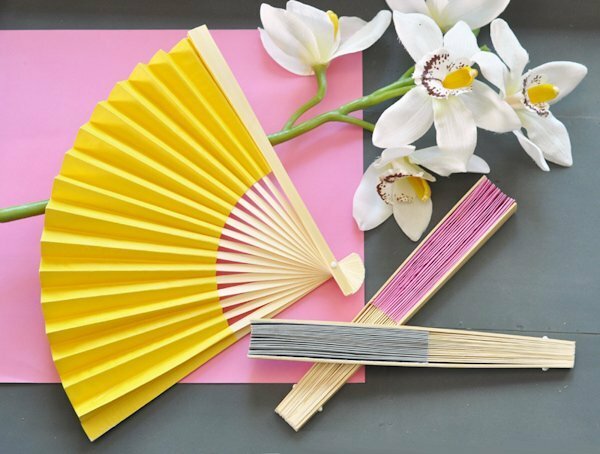 NOTE: Blossom and Black fans are now discontinued. Note - This item includes a personalization, color, size or design option: Fan Color (View Colors) (Free of charge). You may specify this information during our checkout process. 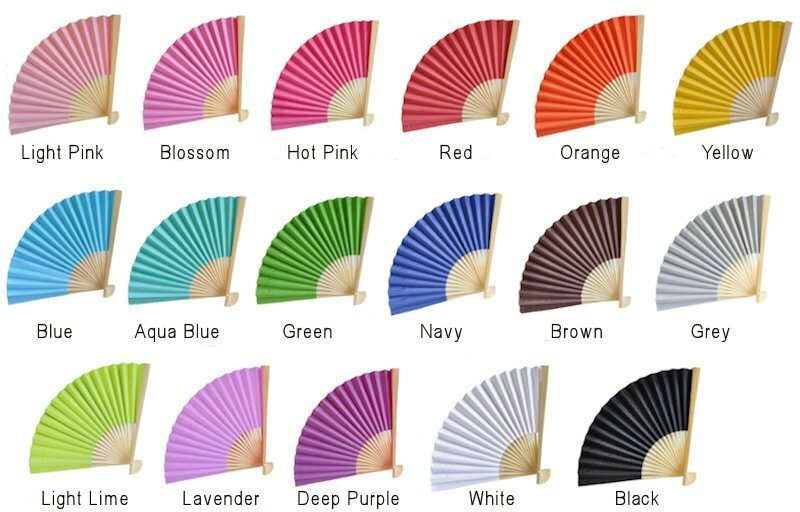 hello, i am wanting to order some fans in various colors, however it never actually requests us to select a certain color? You need to add it to your cart and then click on complete the missing info to see the drop down for the color choices. I was wondering if we can slipt the colors have red green and white for the order? 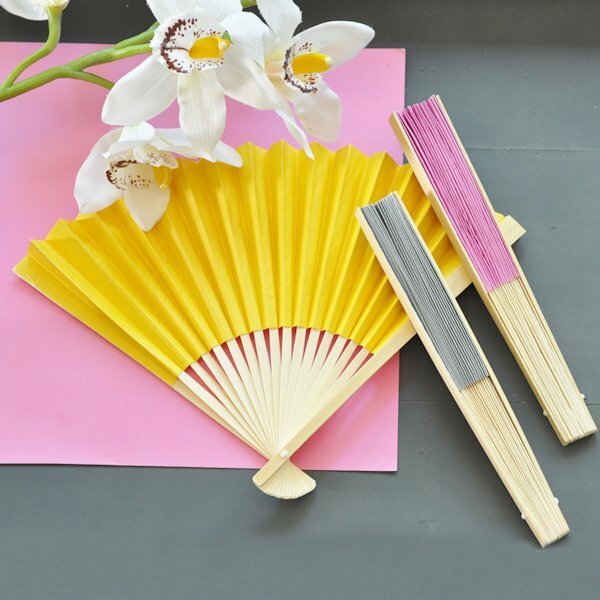 To split your order, add this Colored Paper Hand Fan a second time to your cart and select the second color that you want. 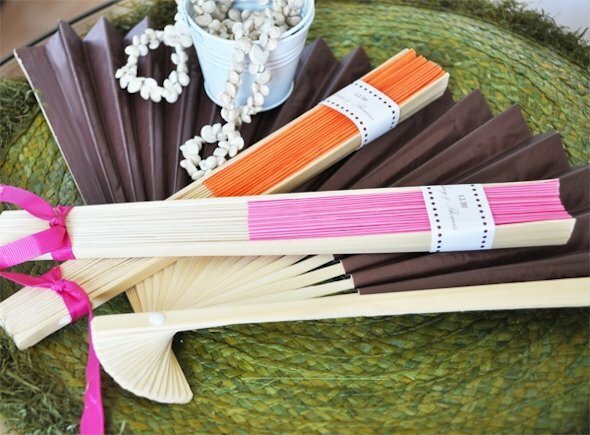 I was wondering if the colored paper fans come in a dusty rose color and also if we could personalize them? 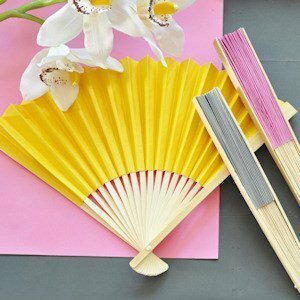 Unfortunately we don't have the Colored Paper Hand Fans in a dusty rose color. If you click on the photos on the product page, there you'll see the different colors available. Also, this item can be personalized and you can specify that after adding it to your shopping cart.